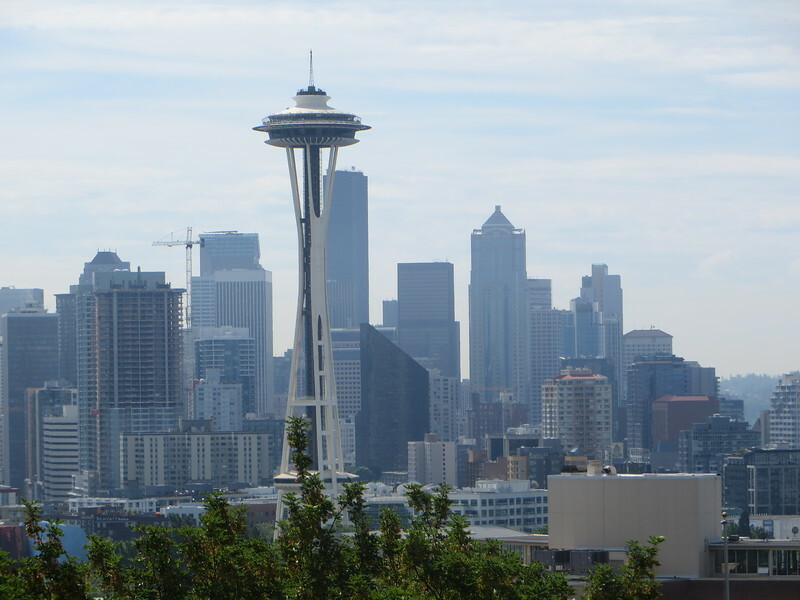 Our city tour stopped at Kerry Park, a small park on Queen Anne Hill, in an elegant neighborhood of old mansions. It has a sweeping view of downtown Seattle and Elliott Bay. Theoretically we could have seen Mt. Rainier from here as well, but--temperamental as mountains tend to be--it did not show itself on that day, or I think any day of our visit.